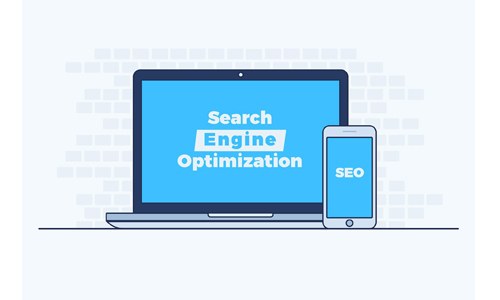 When building a website for SEO, there are some factors that need to be checked even before you start designing the website itself. There are key factors in the backend of the website that you need to make sure are correct and simple enough so if you ever need to go in the backend to fix something you won’t get lost. Your hosting provider is to me the most important part of this task. Web Hosting is the service providing space on the Internet for websites. Web hosting services work by storing your website files in high powered computers connected to a very fast network. Web hosts usually charge for the service they render. Therefore, you need to make sure you understand how everything works and that you have 24/7 free support. I would recommend going with HostGator. They give out a lot of discounts and their customer support is the best one on the planet, from my own experience with them. When choosing which site builder, you will use make sure you do your research on them first to see which one would be best for your business. But since we are building a website for SEO the best web builder you should use is WordPress. But what makes WordPress the best web builder for SEO specifically? Simple, they literally have the best plugins! Anyone who is a WordPress fanatic could talk to you about all the features of their plugins for days. Their plugins are made to make SEO easier and more efficient. It’s rare but you never know if your website in the future may get hacked or if someone will try to put a virus on it. Take precautions now so that the consequences are minimal in the future, it is also a big stress reliever if you know a company providing you security for your website has your back. Most of the time your hoster provides security but you can always go to a 3rd party such as Cloudflare, Riverbed, Barracuda, Imperva Incapsula or Network Solutions. Since July of 2018 Google is making it mandatory for websites to be secured or in other words changed from HTTP to HTTPS. Most people have virus security systems on their PC to protect from websites with viruses or from a “scammy” website. What usually happens is that most of the time, if you try to go on a website which is not secured your security system, will block the website. Also, Google has started to bring down the rankings of websites who do not have an SSL security. Always design your website to make it compatible with mobile phones. In 2018, about 64% of paid Google search clicks originated from mobile, with mobile phones accounting for nearly 56% of total clicks. It would almost be best for your website to look better on mobile than on desktop. Make your navigation so easy an 8-year-old can find their way through your website without getting confused or lost. This is very important because it prevents your bounce rate to go up. Bounce rate is the percentage of visitors to a website who navigate away from the site after viewing only one page. Yes, I know you love email marketing. I know that you are still putting out push notifications on your website and always looking for new strategies to capture your visitor’s emails. But let’s face it, we are moving into the future and kids these days are not really looking at their emails. You need to broaden your ability to catch your visitor’s attention. Messenger is where the younger generation is and will always be so if you want to get their attention you need to optimize your business to their liking. Putting a messenger chatbot on your website is easy and quick. You can answer all their question via messenger and you can be sure that they will see it because people spend all their time on Facebook chatting. There are different types of chat box’s, but I recommend facebook’s messenger bot. It sends the message straight to your Facebook, so you can reply to them in a matter of seconds. Internal link pages you want to rank or just want to have some sort of authority on your website such as your contact page, location page, services page, about page, etc. This is very important to have in mind when writing content on your website and later in the future. internal links also connect your content and give Google an idea of the structure of your website. Internal linking is like showing google which pages are more valuable or that should be put on a pedestal. It’s as if you are creating a hierarchy of the pages on your website for Google to see. Therefore, be sure to interlink pages that you want to give more juice to rank on the search engines. Put as many images and videos as possible on your website. We are visual beings, and everyone knows the saying “an image has a 1000 words”. Putting high-quality images and videos is not only a good look for your website but it is also essential to keep visitors on your website for as long as possible. The average duration of visitors on your website can affect your websites rankings. In fact, as previously mentioned, people are visual beings and we process visuals 60,000 times faster than plain text. This means that we prefer subconsciously visual content a lot more than textual information. Finally, content is a very important factor that can make or break your website. Make sure you put in all the keywords you want to rank for in your content and that it has a pretty good keyword density (10%). Also, make sure that the content is relevant to your niche or business so that Google does not get confused. For example, if your business sells healthy smoothies do not talk about vacuum cleaners. Therefore, before even starting to think of the way you are going to design your website, make sure that you complete the checklist explained in the second paragraph. Your hosting provider, web builder and security service for your website are mandatory in my case because it is a big stress reliever and once you are done choosing who to go with you really don’t ever have to worry about it ever again. When you finish the checklist, you can then move on to the design of the website. Guest Post by David Murumbi at Rafiki Digi.